I received a physical copy of Strong and Kind, plus a downloadable e-book workbook that goes along with the book, if that’s not all I also received a physical copy of the workbook. This was a unique parenting book, it had encouragement and really good parenting advice. Korie tells you to pick 2 traits you’d like your kids to have and work on them. It includes faith and some really cute colorful pictures in the middle of the book. It even has words of wisdom from Willie himself! 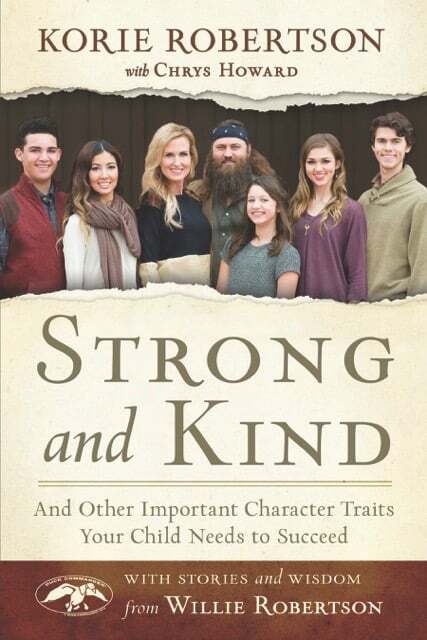 In her new book STRONG and KIND: And Other Important Character Traits Your Child Needs to Succeed, Korie Robertson – New York Times bestselling author, wife of Duck Commander® CEO Willie Robertson, star of A&E’s Duck Dynasty, and mother of five – argues that developing good character in our children is the single most important thing we can do to help ensure they lead happy, healthy adult lives. Robertson explores key traits and what they truly look like in action, asks readers to select the two traits that they hope to see most in their children, and shares hands-on ways for nurturing strength of character. Written with her mother Chrys Howard and featuring stories and wisdom from husband Willie, STRONG and KIND cuts through the contemporary cacophony of parenting manuals to rediscover, unfold, and embrace the enduring wisdom that has guided the best parents for centuries. Korie Robertson, wife of Duck Commander® CEO Willie Robertson and star of A&E’s beloved series Duck Dynasty, is a mother of five a New York Times bestselling author of several books, including The Duck Commander Family: How Faith, Family, and Ducks built a Dynasty, written with Willie; Faith Commander: Living Five Values from the Parables with Jesus, written with her mother Chrys Howard; and The Women of Duck Commander: Surprising Insights from the Women Behind the Beards about What Makes this Family Work, written with all of the Robertson wives. 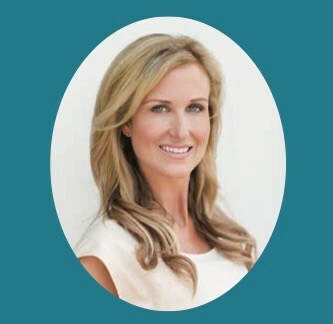 She is also an in-demand public speaker, Duck Commander® executive, entrepreneur and found of boutique Duck and Dressing, and philanthropist, who remains active with a variety of organizations that focus on children, adoption, and foster care. Korie lives with her family in West Monroe, Louisiana. Those are very good traits to have Sue!